2017 gave me the opportunity to start working directly with Scuba Travel, teaming up with some of the best underwater photographers in the world as part of the photo pro team. 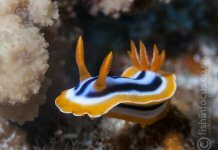 Photo Finish was born as a platform to offer divers interested in underwater photographers a range of tips and techniques on how to shoot different subjects, based on my experience as a photographer and dive guide. Today I’m going to talk about some of my favourite shots, the techniques I used and the places where you can practice them. 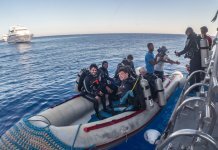 As an underwater photographer, my bucket list of dive destinations to visit is full of exotic places, but very few are as rewarding as the Egyptian Red Sea. No matter how much I dive here – and I’ve done a few few thousand over the year – it always delivers. Plain and simple. The Giannis D, one of the most iconic wrecks in the Red Sea. The slightly unusual angle and the black and white treatment help to create a moody atmosphere. The Giannis D is one of the most photograph wrecks in Egypt. Last May during a Red Sea photography workshop I decided to use a slightly different approach to photographing the wreck. It was not a groundbreaking change. I simply tried an alternative angle to the more traditional stern view. The aft section, completely ripped off, is in my opinio much more dramatic, and in this shot the group of divers give a sense of scale to the black and white and high contrast treatment, which adds a moody atmosphere that makes this image of my 2017 favourites. 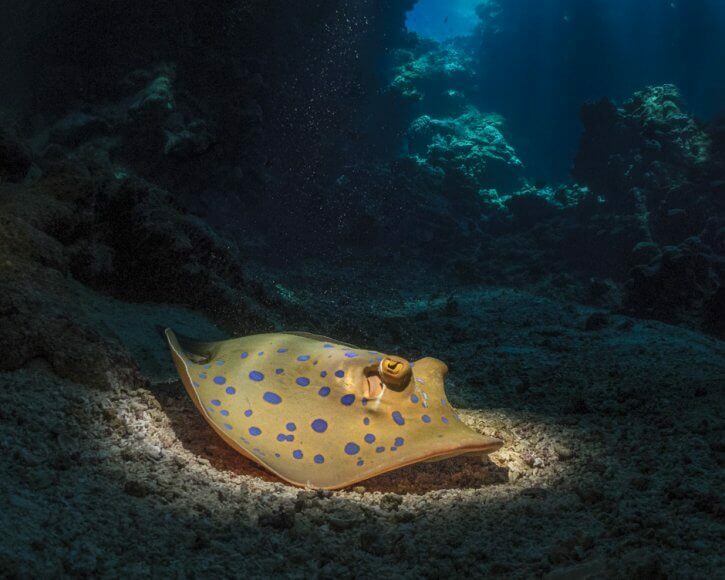 A blue spotted stingray in the cave system at Sha’ab Claudia in the southern Red Sea. The use of a snoot helps to isolate the subject while the glimpse of open water in the background gives the idea of depth. Another favourite of 2017 is this blue spotted stingray. 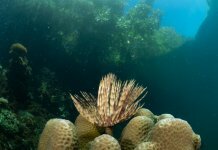 Taken during a Shark Quest photography trip in May it shows how an otherwise common subject found on most dive sites can be transformed by composition and lighting. Using a snoot to focus my strobe light allowed me to isolate the subject, and by framing the shot allowing a glimpse of the open water in the background I added a feeling of depth to the image. The trickiest part of this shot was the approach. Blue-spotted stingrays can be a bit skittish and get close enough to shoot them with a fisheye lens can be difficult. Good buoyancy and slow movement are essential in this circumstances. A moody shot of George. 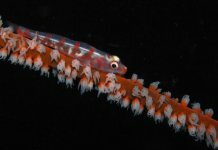 shoot during a night dive with a snoot to light only its face. Back to the Northen Red Sea, to The Barge to be more precise, and this shot of the most popular resident, George. I really love this pic personally and an undeniable highlight was finding other people did too, as it picked up the popular vote at the last Dive Show at the NEC. 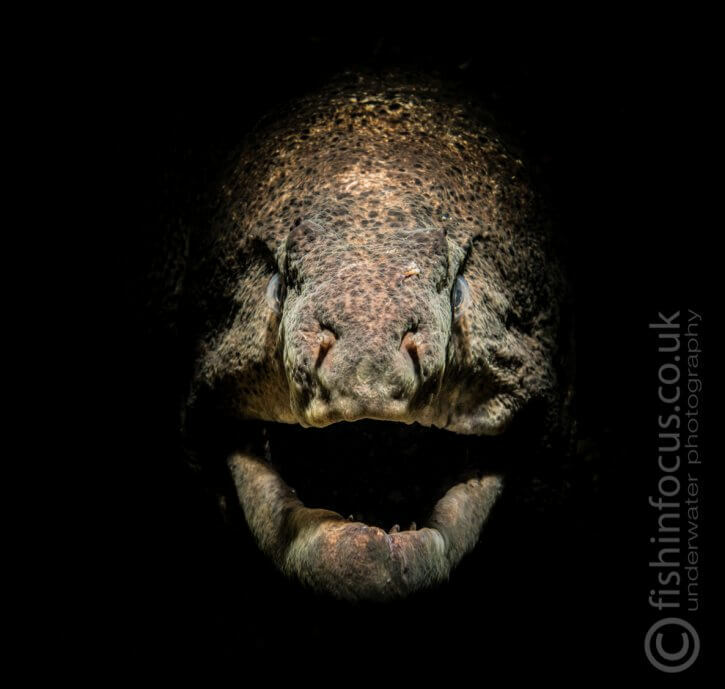 On this pic, I also used a snoot to limit the spread of light and focus it on the moray face. The snoot enabled me to focus in on the features, and accentuate the texture of the face. Good old George. What a wizened and expressive face. 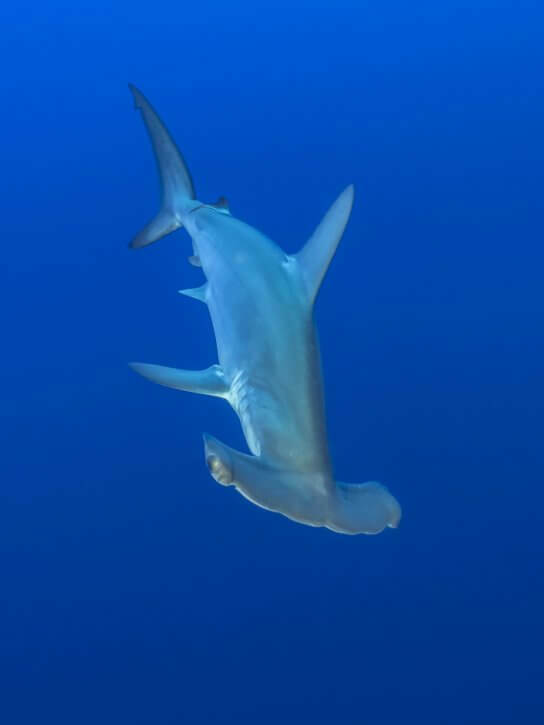 July took me back to the southern Red Sea where I was able to spend two full days photographing hammerheads sharks of the north tip of Daedalus Reef. 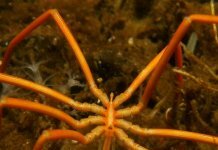 These beautiful creatures can be usually found between 30 and 40 meters and are normally shy. Never chase after them and let the school come to you. The deeper you go the less light there is for the camera to work. increasing the ISO is sometimes the only solution you have to be able to shoot at a reasonable shutter speed. For me, it’s the head on position and shark shape that makes this one a keeper. My last workshop of the year took me to Indonesia. 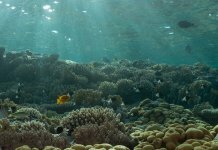 Komodo is a fantastic destination, incredible biodiversity and stonishing dive sites offer a huge range of possibilities for the underwater photographer. From the smallest of creatures to mantas and sharks, this remote destination has everything to offer to the experienced photographer. This is one of the shots I prefer from this trip, even though it’s not the most exotic! 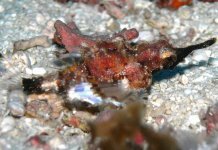 Taken during the check dive it shows a scorpionfish resting on some tube sponges. It was under an overhung and relatively close to the wall. It was a challenge! To separate the subject from the background and to minimize lighting the somehow dull background I used inward lighting. by pointing the strobes at me, I ensured the scorpionfish was lit only by the corner of the light cone. This technique is useful if you only want to light the foreground and nothing behind. This year seems is looking very busy. 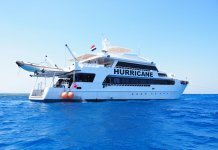 Starting with the classic Winter Warmer at the end of January, I will be running trips the southern Red Sea, Shark Quest photography, to teach how to photograph hammerheads and other sharks, as well as the wrecks and schooling snappers of the north on the Red Sea Photography in July. 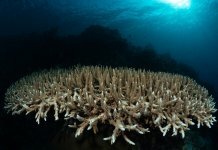 Further afield, Malapascua in the Philippines will be the home for a great workshop covering both macro and wide-angle scenarios. Join Mario on any of the photo workshops to have the chance to dive carefully selected dive sites and take your underwater photography skills to the next level. 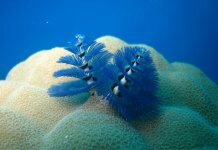 Mario is well known for his patient, calm approach to teaching underwater photography, he will help you develop new skills and build your confidence in a relaxed and fun environment.